Nigeria’s two main writers, Wole Soyinka, and Chinua Achebe, have contended that Nigeria is a far from realized collectivity. If some disaffected youth take to blowing up oil installations or insisting on divorcing the polity called Nigeria, it is because, all their lives, they have experienced Nigeria as an injurious, lacerating organism. Mr. Buhari did not start this essential crisis, but he is part of the broad political and cultural elite that failed to rise to the task of building Nigeria into a meaningful community. That task must be undertaken, or the whole concept of Nigeria will continue to be hollow. One hopes that President Buhari has some sense of history. If he does, then he must know how futile it is to wish to “crush” a nation out of Nigeria. Whatever armory the Nigerian state has at its disposal, that state cannot crush people into compliance with an unjust, inequitable order that serves the interests of a few—at the expense of millions. The Nigerian state killed Ken Saro-Wiwa, foolishly believing that the agitation in the Niger Delta would die as well. It became stronger and more militant in tone. The Nigerian police murdered Mohammed Yusuf, the founder of Boko Haram, deluding itself that it had crushed the group. Abubakar Shekau emerged as the group’s new face, more ruthless than Mr. Yusuf. Nigeria has detained Nnamdi Kanu, spokesman of the Indigenous People of Biafra, but the spirit of the group has refused to submit. It’s sad if Mr. Buhari thinks Nigeria can shoot the disaffected youth in the Niger Delta into silence and submission. He needs to wake up and assure the youth and all Nigerians that he understands why they agitate. 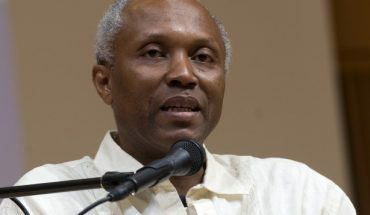 Okey Ndibe novelist, political columnist, and essayist. He teaches fiction and African literature at Trinity College in Hartford, USA. He is the author of the novels, Arrows of Rain and Foreign Gods Inc.